The HYDROFLARE system from Hydrozonix is designed for wells in locations where gas-gathering systems do not exist and where produced water costs are high. 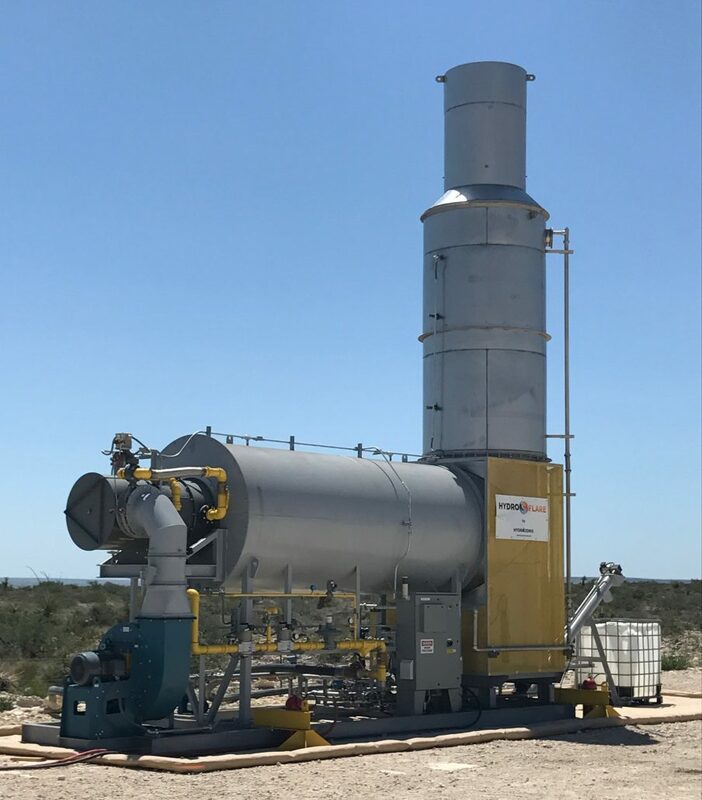 The system burns gas that would normally be flared to evaporate flowback and produced water so it does not have to be hauled away for disposal. Solids left behind by the evaporated water are collected and conveyed to easily moved receptacles. HYDROFLARE can help operators meet flaring reduction goals while simplifying produced water management at remote wellsites. HYDROFLARE unit at West Texas location.